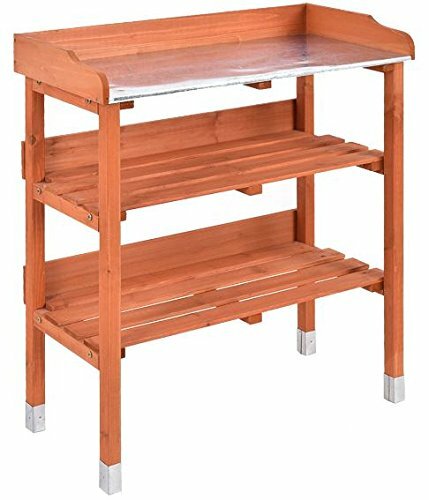 Made of solid wood and metal sheet, the work station is durable and sturdy. With a hook, the work station can hang garden tools. The three shelves are provided for storing potting tools, seeds and other tools. The feet of the work station are covered by galvanization, protecting the feet from rotten.